WPPL is a prime site for community memory and we hold a rich set of materials relevant to White Plains' past. Categories: History, Homepage Services, Resources, Services, and Spaces. Tags: local history, white plains collection, and white plains history. Introducing the New Local History Room! 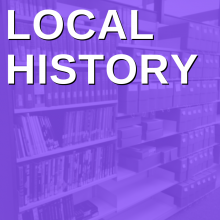 Tags: archives, city directories, local history, local history programming, oral history, People & Stories, suffrage, white plains collection, white plains history, and White Plains History Roundtable. 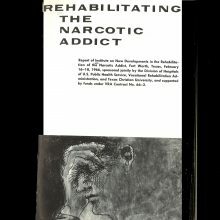 Tags: addiction, addiction treatment, addicts, alcoholics, alcoholism, cocaine, heroin, local history, mental health, mental illness, narcotics, rockefeller laws, westchester committee on alcoholism, white plains collection, white plains history, and white plains youth bureau. 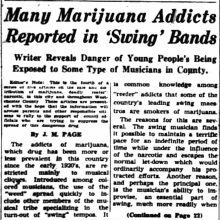 Tags: addiction, addicts, alcoholics, alcoholism, bloomingdale, bloomingdale asylum, henry j anslinger, local history, mental health, mental illness, reefer madness, westchester committee on alcoholism, white plains collection, and white plains history. Tags: activism, African-American History, Black History, clifford beers, day care, feminism, local history, mental health reform, mental hygiene, mental illness, rosa kittrell, social justice, thomas p brennan, white plains collection, white plains history, and world mental health day. 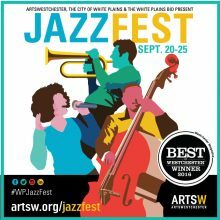 Tags: ArtsWestchester, jazz, Jazz Fest, Jazz Fest 2017, local history, oral history, People & Stories, Pete Malinverni, westchester history, white plains collection, white plains history, White Plains Jazz Fest, and WPBID. 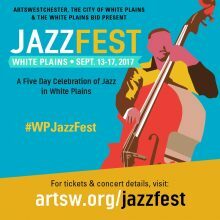 Tags: ArtsWestchester, jazz, Jazz Fest, Jazz Fest 2017, local history, oral history, People & Stories, Ray Blue, westchester history, white plains collection, white plains history, White Plains Jazz Fest, and WPBID. 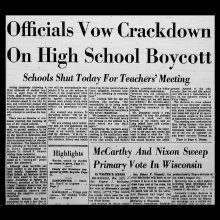 Tags: African-American History, Black History, boycotts, civil rights, local history, race relations, racial balance plan, Reporter Dispatch, school, strikes, students, white plains collection, White Plains High School, and white plains history. The Hudson River shapes nearly every area of our lives in some way: from topography, patterns of human settlement, and military decisions to energy production, human health, commerce, and culture. 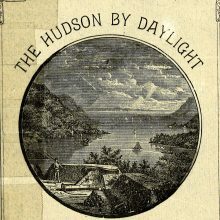 This summer, impress your fellow travelers with some knowledge about the Hudson Valley and the Hudson River gained from the White Plains Collection. Below is a bibliography of historical and contemporary titles from many different genres and eras. Histories: Narrative, Revolutionary, and Social The Hudson from the Wilderness to the Sea by Benson J. Lossing (1866): A wonderful, illustration-rich vintage title donated by former White Plains librarian Clara F.
Tags: american history, architecture, art history, ecology, environmentalism, historic houses, historic sites, hudson river, hudson river valley, hudson valley, local history, nature, recreation, Revolutionary War, rivers, tourism, travel writing, white plains collection, and white plains history. 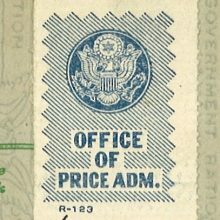 Tags: air raids, american history, blackouts, brendan gill, chauncey griffen, edward schirmer, local history, office of price administration, opa, ration board, the new yorker, thomas holden, white plains collection, white plains history, and world war ii. Tags: 1930s, common council, great depression, local history, welfare, white plains collection, white plains history, works progress administration, and WPA. 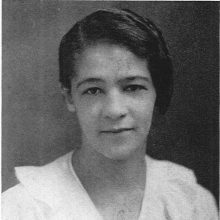 Tags: African-American History, Black History, black history month, historical societies, local history, white plains collection, and white plains history. 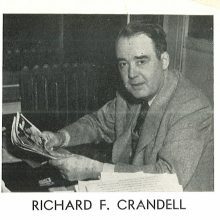 Tags: architecture, kirmess, local history, richard crandell, white plains collection, white plains history, and white plains hospital. 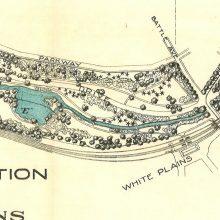 If you ever walk along the Bronx River Parkway and want to supplement your experience with some local history, check out the White Plains Collection. Below are some examples of materials that illuminate more than just the history of the parkway. 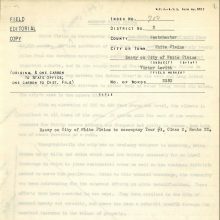 We have documents about the building of the parkway and the economic impact of the parkway. One could also trace the history of “green spaces” in American planning or how publicly funded projects supported the growth of the suburbs. Tags: bronx river, bronx river parkway, highways, local history, maps, nature, planning, suburbs, white plains collection, and white plains history. Our first local history collage night was a success! Children's Librarian Raquel Cavalcanti and I teamed up for a night of stories, crafting, and history. When we found extra local history books published by the White Plains Historical Society had damaged bindings, we asked if we could put them to use as collage materials. 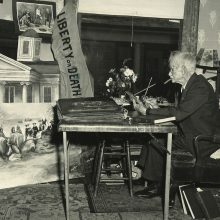 The Historical Society agreed, and a program was born! Examples of the boxes our crafters made are below. 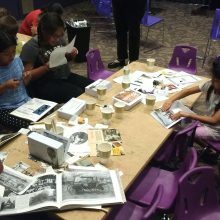 Tags: all ages, art, children, collage night, families, local history, The Trove, white plains historical society, and white plains history. Tags: ArtsWestchester, jazz, Jazz Fest, Jazz Fest 2016, local history, music, oral history, People & Stories, and white plains history. 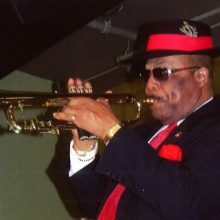 Tags: ArtsWestchester, jazz, Jazz Fest, local history, music, oral history, People & Stories, and white plains history. Tags: ArtsWestchester, Jazz Fest, local history, music, oral history, People & Stories, white plains history, and WPBID. 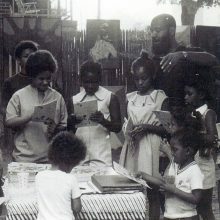 Tags: African-American History, ArtsWestchester, Black History, jazz, Jazz Fest, local history, music, oral history, People & Stories, police, and white plains history. 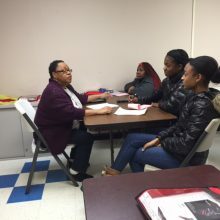 Tags: 1960s, 1970s, African-American History, college, education, empowerment, GEMS, high school, Latina History, local history, oral history, People & Stories, teens, white plains history, Women's History, youth groups, and YWCA.